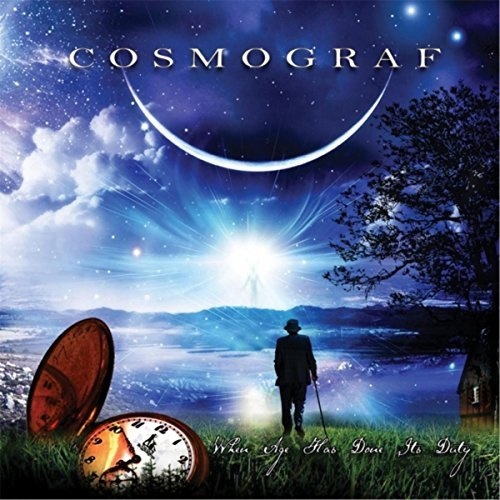 Cosmograf will re-release their second album When Age Has Done Its Duty on January 26. Originally launched in 2011 on F2 Records,to critical acclaim, the concept album with its theme centering on the ageing process has been out of print for some time. Armstrong says: “It’s considered by many to be a seminal work in the Cosmograf catalogue, so rather than just re- issuing it I thought it would be better to completely remix and master it and address some of the issues that were less than perfect on the original recording. “Many of the original guitar, bass and vocal parts have been re-recorded, new string arrangements added, and a more dynamic low volume level master produced. I’m really pleased with how it’s now sounding.” When Age Has Done Its Duty will be released on the Cosmograf Music label on DigipakCD and digital formats, with a vinyl version planned for later in 2018.